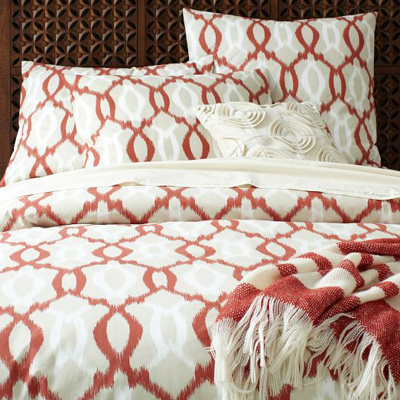 Inspired by the best-selling rug, the Organic Ikat Links Duvet Cover + Shams bring the same subtle, interwoven ikat pattern to pure organic cotton in a warm, inviting hue. Made of 100% organic cotton. $24-$119 Sale $19-$95. Buy here.